Two variations on this Cardigan and a Waistcoat knitted using Wondersoft DK. 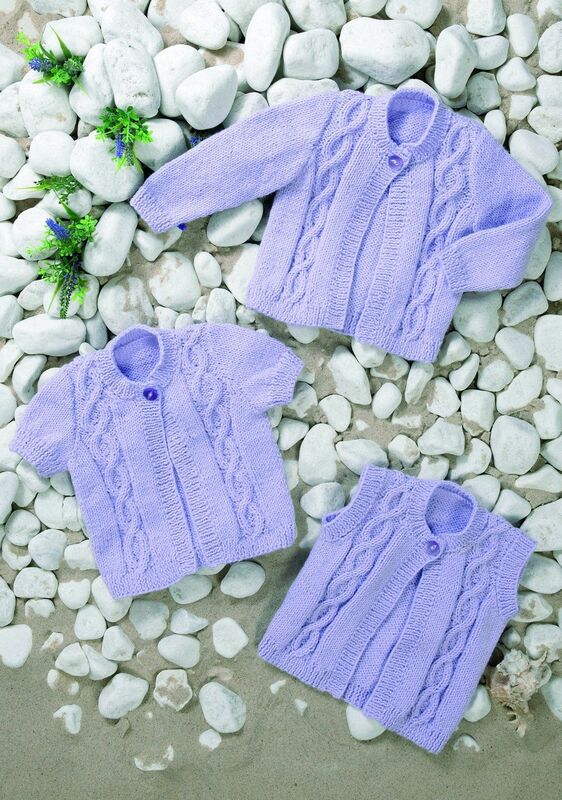 Pattern shown in shade Sweet Lilac (1038) which is currently discontinued. Also required: A Cable Needle and Stitch Holders.